This post is sponsored by Etsy & RewardStyle. Well helllllllooooo my wonderful friends! How the heck are ya? Can you believe it’s already Thursday? Gracious sakes, this week has zipped by, which is good because that means we’re getting closer to Easter weekend! The weather is supposed to be gorgeous here in Colorado, so we should be all set for an epic egg hunt and other fun Easter festivities. Eek! I can’t wait. You guys know Easter is my favorite. 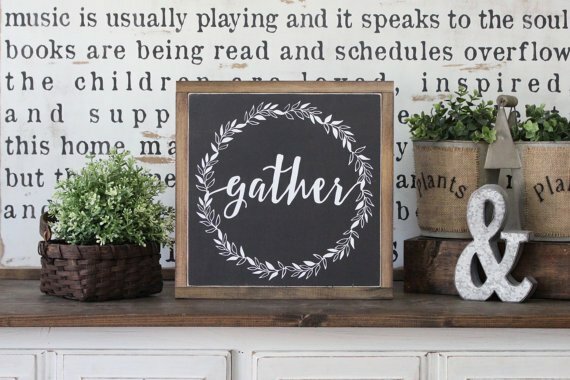 Anyway, today I’m super excited to chat about my love of farmhouse style signs. 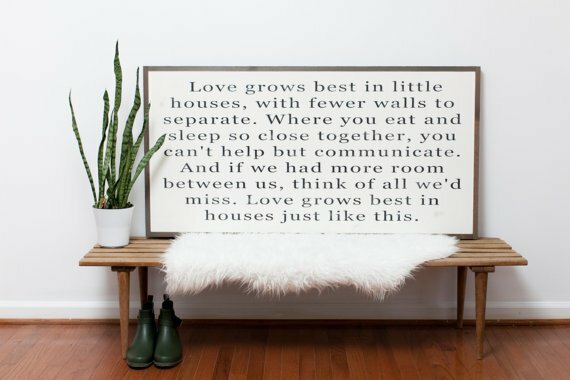 My idea for this post was actually sparked by one of the questions I get the most on social media: where did I find the large Love Grows Best sign in our dining room. 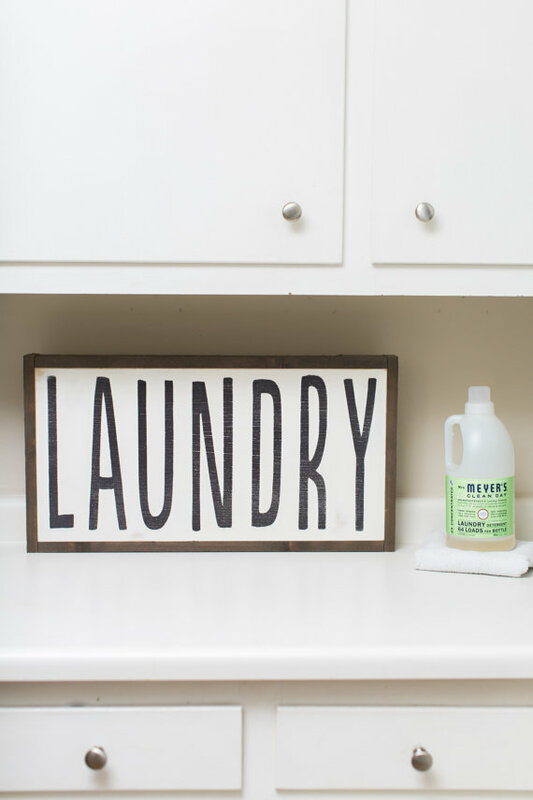 I’m going to chat about that a bit and then I have a fun round-up of 15 farmhouse style signs from Etsy that I bet you’ll love as much as I do. There she be–my beloved Love Grows Best sign! Any time I post a photo of this beauty I get a zillion questions about it. And it’s no surprise. 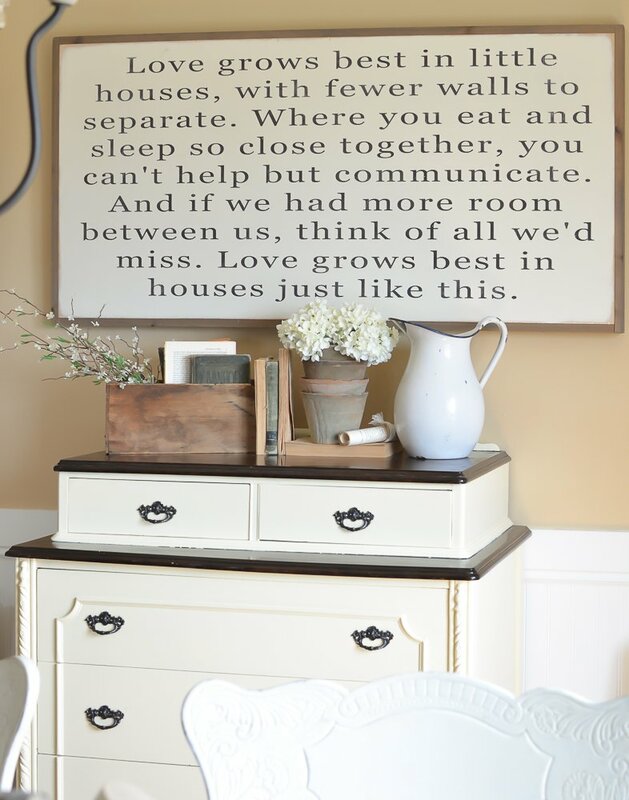 This is easily one of my favorite items in our entire home, I absolutely adore it. 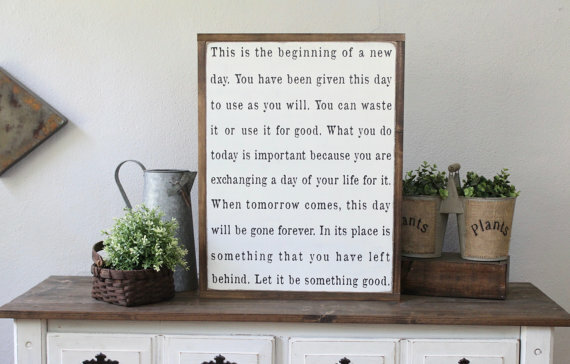 Not only is it incredibly well made, but it’s just so beautiful–the words, the meaning, all of it. Every time I stop to read this sign I can’t help but smile. 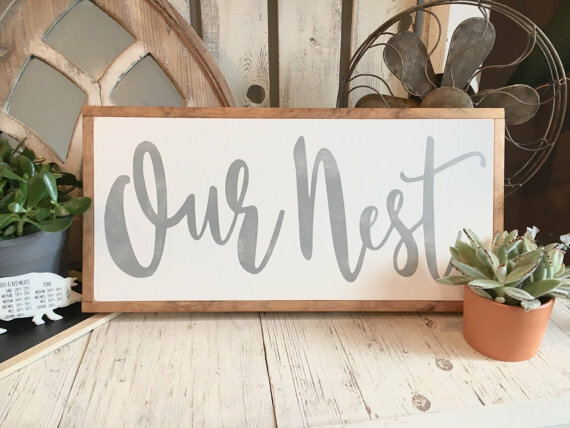 It’s from Between You and Me Signs, which is one of my all-time favorite Etsy shops. 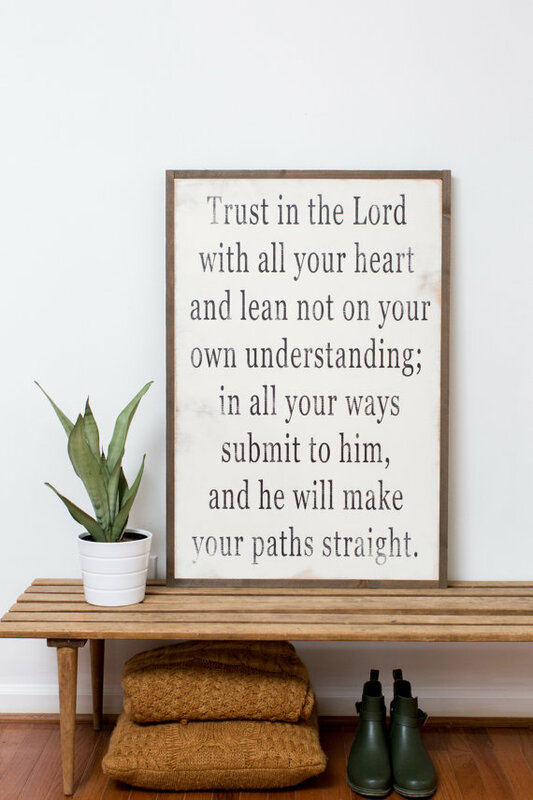 I actually have several other wooden signs from Etsy scattered across our home, but I have to say this is my favorite. I went with the larger size, it’s 4 feet by 2 feet, and I’m so happy I did. 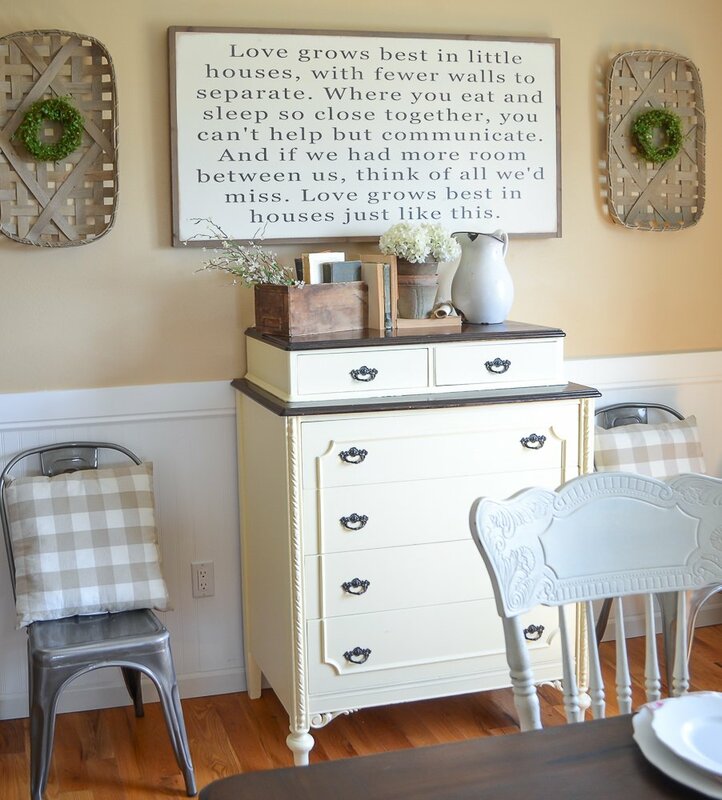 It fits perfectly in our dining room and definitely makes a big statement. 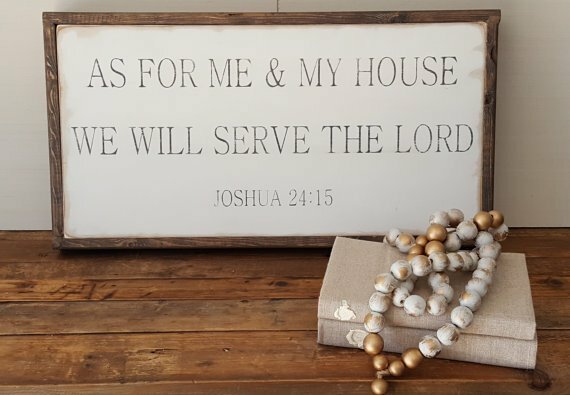 So with Mother’s Day right around the corner, I thought it would be fun to round up some of my favorite farmhouse style signs. 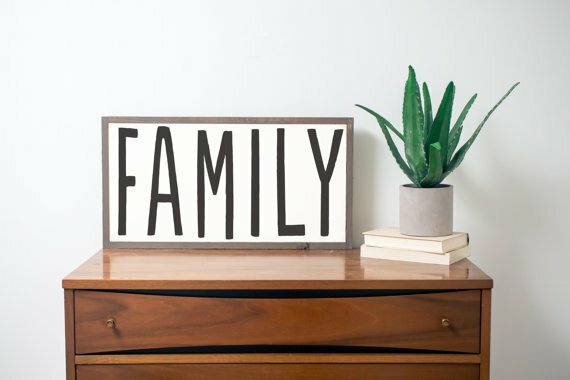 Etsy is my go-to place for finding wooden signs, and honestly I think that’s where you’ll find the best quality. All of my picks are from awesome little shops on Etsy. 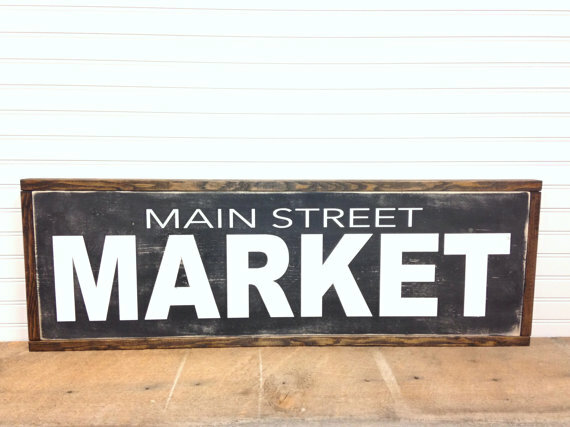 Plus these signs are hand-made in the good ol’ USA, which makes them even better if you ask me. 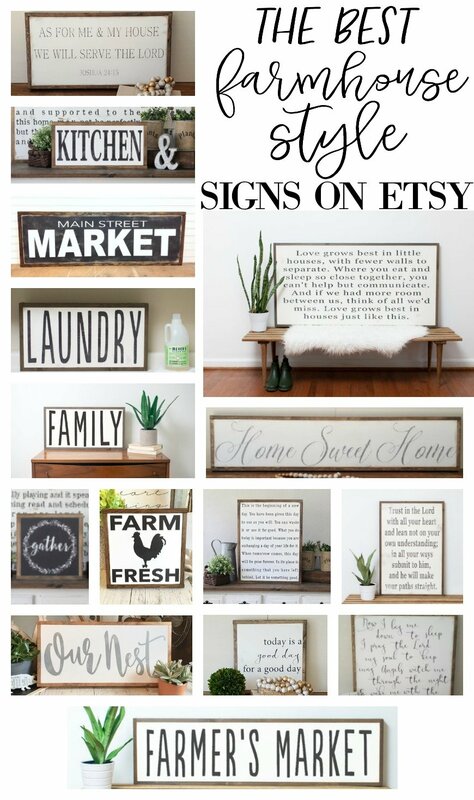 You could really spend hours and hours looking through all the different shops and signs available on Etsy. The possibilities are endless and many shops will even do custom designs if you’re looking for something really specific. 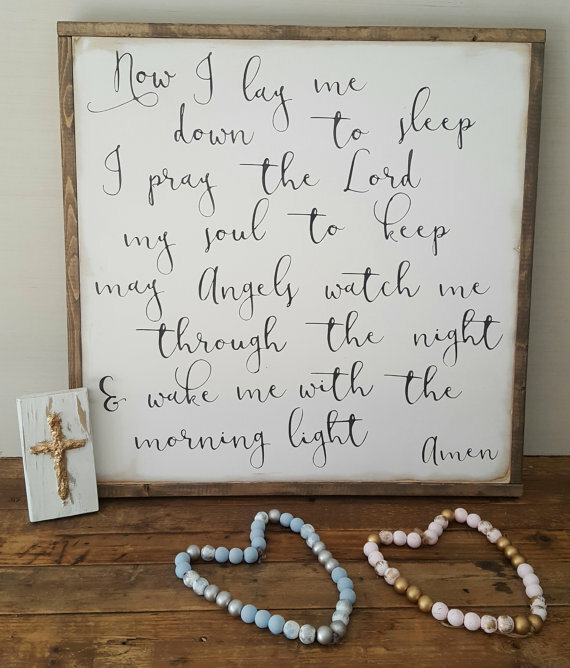 I just think these make the best gifts, and I definitely have a few of these babies on my Mother’s Day list this year! I’m so glad you dropped by today my friends. I’ll be back tomorrow with some Friday Favorites fun. See you then! Just stumbled upon your blog and I love it!! Thanks Ashley, so glad to have you here! These are all SUCH cute signs. 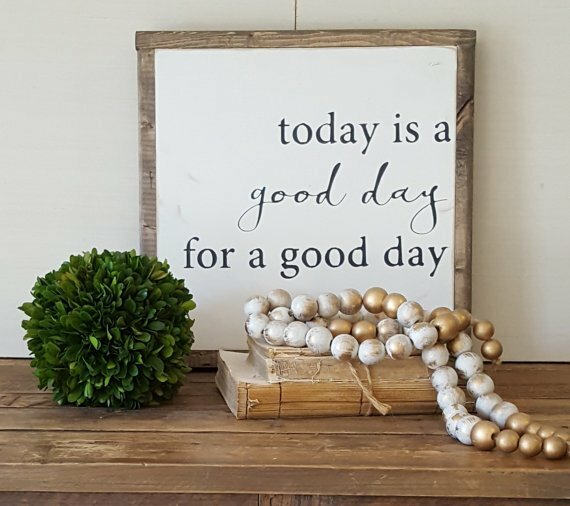 I absolutely love buying (and selling my crafts and vintage finds) on Etsy! 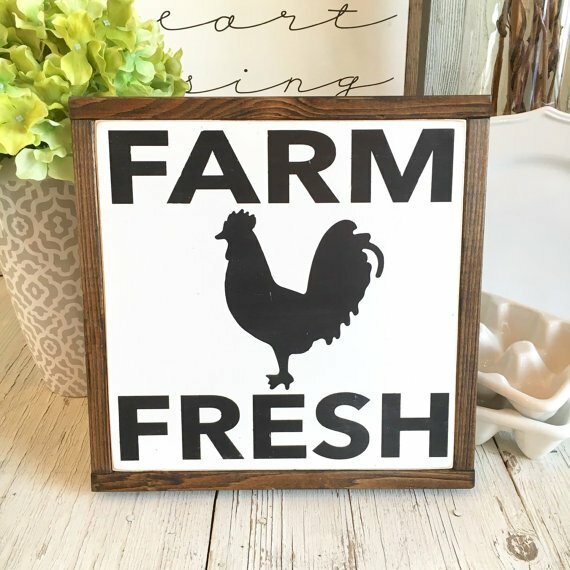 So ironic because I just published a post on my blog a couple weeks ago of MY favorite Farmhouse signs from Etsy! Great minds think alike 🙂 It’s fun to see the ones you picked out too! All of the ones I featured were different. Oh my goodness, great minds think alike indeed! I need to check out your post. 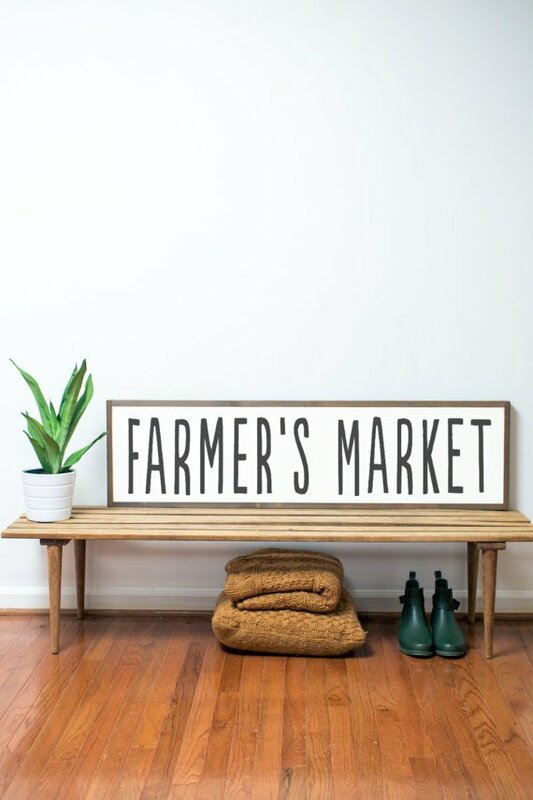 I just happened to find your site as I was looking for vintage/farmhouse ideas. I love the classic simplicity of your style. I was so inspired that I now ave several projects underway. 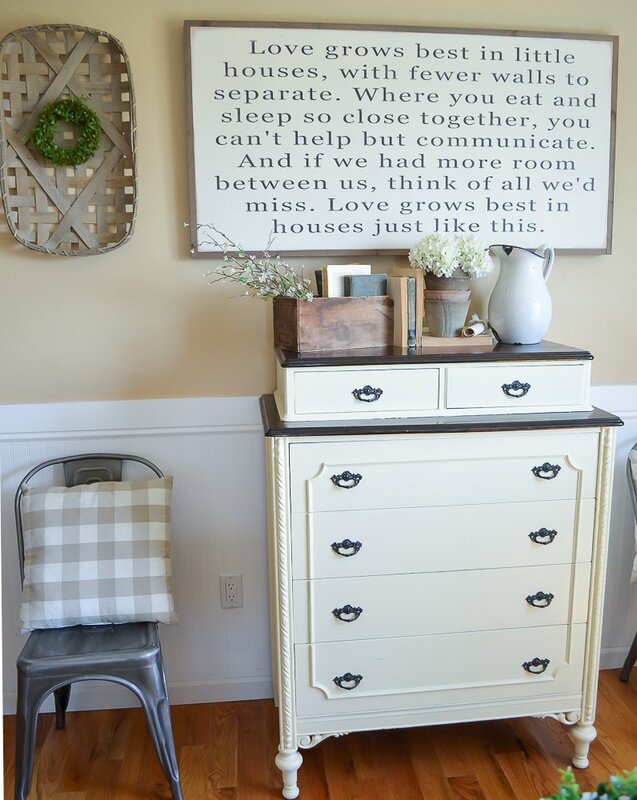 I’ve become an avid Habitat for Humanity Restore customer and garage sale “picker” Keep your ideas coming…I love them. 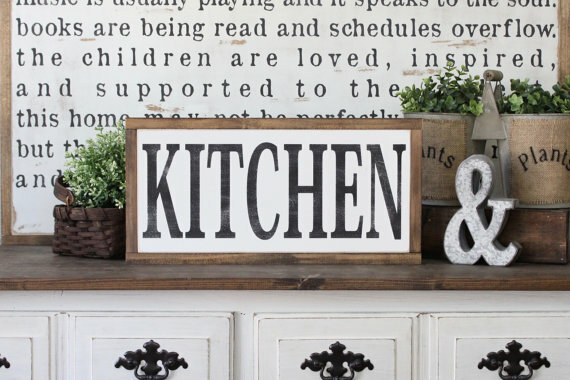 I’m actually interested in the entire phrase of the sign that is behind the kitchen sign on today’s post. Thank you! Sorry it is an old post dated April 13, 2017. I just stumbled across it today.